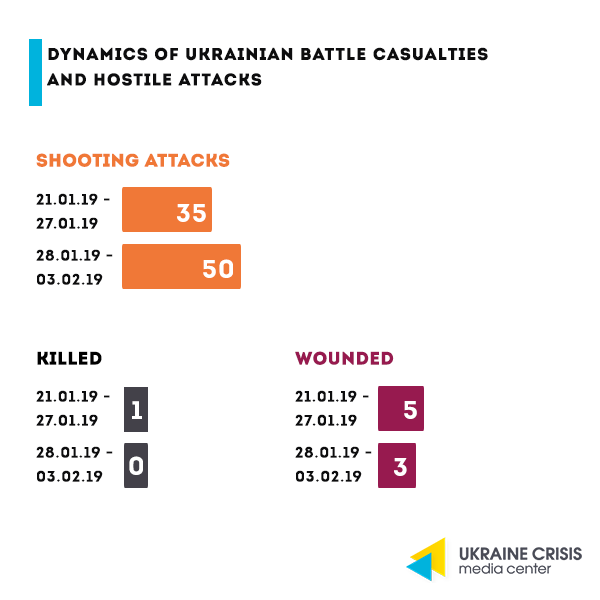 In the area of responsibility of Pivnich (North) – one of the two operational-tactic groups of the Joint Forces Operation, Russia-backed militants fired upon the Ukrainian troops’ positions near Novotoshkivske and in the area of Vilnyi village (Khutir Vilnyi). Ukrainian troops’ positions were also fired upon from grenade launchers near Zaitseve as well as from automatic grenade launchers near Luhanske. In the area of responsibility of the operational-tactic group Skhid (East) Russian proxies fired upon the Ukrainian troops’ positions near Pavlopil. The project Distributed Denial of Secrets (DDoSecrets) released hacked documents, namely mailing from Russia, that contain evidence of Russia’s aggression against Ukraine, as it was announced. This new information leak will possibly confirm the assumptions and actually point at the Russian aggression against Ukraine. 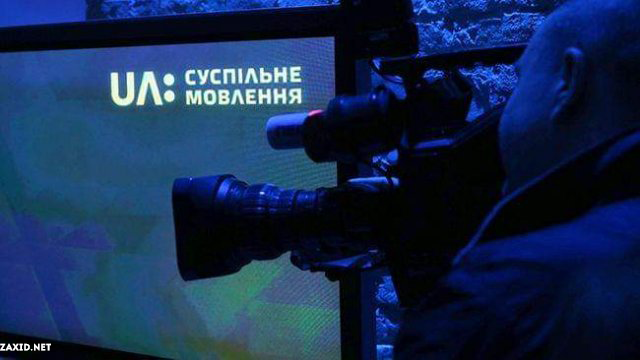 Hromadske TV devoted a week to analyze over 100GB of the leaked information. UCMC gives a brief summary of this analysis. Destabilizing the situation in Ukraine’s regions in 2014-2016. Leaked information contains e-mails and documents on Russia destabilizing the situation in Ukraine’s regions throughout 2014-2016. The regions in question are Kharkiv, Odesa, Dnipro, Zaporizhzhia, Kherson and Mykolayiv. 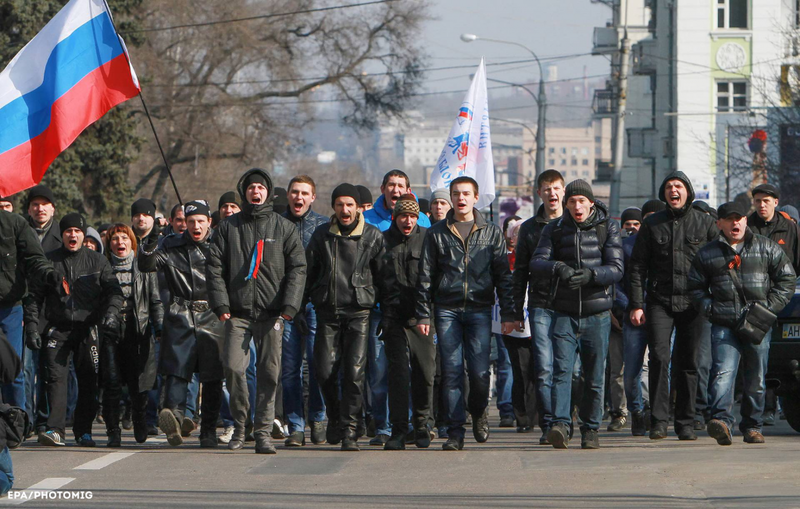 The above materials demonstrate that users of mailboxes on Russian domains were paying money to hire individuals in Ukraine’s regions to hold rallies, create social media groups tasked to provoke, establish NGOs with patriotic names and slogans, they also paid to have certain articles published in Ukrainian media as well as were setting up small media of their own. Each action was budgeted, a report was filed after it was completed. One of the NGOs featured in the mailing is “Kolokol” (The Bell). According to the legal entities’ registry the organization is chaired by Yuriy Kovalyov residing in Glukhiv, Sumy region. Analysis of the correspondence brings to the conclusion that the owner of the mailbox viktor_vinogr@mail.ru (possibly in use by Vladislav Surkov’s deputy Inal Ardzinbi) was overseeing and financing the separatist projects including “Slobozhanshchyna”, “Porto-Franco”, “People’s Republic of Bessarabia” and “People’s Republic of Nikolaiev”. The mailbox owner also contributed to the setup of groups that were to draft the changes to Ukraine’s Constitution. Occupied Donbas. The hackers also released the correspondence of the igo-strelko_yandex_ru.mbox domain owner. The mailboxcould be possibly owned by Igor Strelkov who was in charge of the militants in Sloviansk and later headed the so-called “people’s resistance forces” in Donetsk and the so-called “army” of the “DPR”. In the correspondence he reveals close ties to the illegal head of the annexed Crimea Sergey Aksyonov. Leaked were also the e-mails that could be possibly sent from mailboxes in use by the employees of the so-called “ministry for information policy” of the so-called “republics”. The “agency” was ordering the broadcast ban of Ukrainian TV channels. There are also the alleged e-mails by the “DPR” head Denis Pushylin sent out to the Administration of the Russian President Vladimir Putin to ask for humanitarian aid, and to Patriarch Kirill of the Russian Orthodox Church to ask for a meeting and discuss the church protection of the so-called “republics”. Downing of MH17. Hromadske TV also found the correspondence that could be possibly attributed to Tatiana Yegorova, “DPR” “spokesperson” as the mailbox had incoming e-mails by various international media requesting accreditation. The correspondence also mentions the MH17 downing, particularly thematic media monitoring and correspondence with Max van der Werff re the MH17 case. Russian army and the “Troy operation”. The leaked documents also include the folder named “MIL DOCUMENTS” containing documents of the Russian Federation Defense Ministry. In addition to the location plan of the military units, bases and reports on military exercises, it contains the document named “the Troy operation”. It lays down the plan to destabilize the situation in the region of Zaporizhzhia and to seize the cities of Melitopol, Berdiansk, Vasylivka and Zaporizhzhia. “All weapons and uniforms of the fighters are made look like the ones of Ukrainian patriots, however a new name is made up for them, for example ‘Karpaty’,” the plan suggests. The plan was designed to be implemented through several stages that include blocking of road and sea passages, masking of the army, media coverage and bribing of law enforcement. “The Times” made a detailed coverage of the operation in April 2018 referring to the leaks of hacked documents from the domain of the Administration of the Russian President. What happened. Last week the Steering Committee of the National Public Broadcasting Company of Ukraine dismissed Zurab Alasania from the post of the head of the Board of Directors. The decision was made at the closed sitting of the Steering Committee. Nine votes were cast in support of the early termination of Alasania’s contract. The sitting’s minutes have not been published yet, so the official reason is not yet known. The decision came into the spotlight of public attention as personnel changes in the public broadcaster during the election campaign may be happening on political motives. Thus, the head of the public broadcaster was subject to criticism a number of times for not covering the activities of the state actors refusing to “promote the authorities”. Position of Zurab Alasania. Alasania claims he was fired for not covering the church rally for the unified independent church,the sitting of the UN General Assembly and one of the economic forums attended by the President. Alasania also published on social media part of the decision by the Steering Committee that became the basis for his dismissal. The document says that the channel “did not cover quickly or did not cover at all (apart from brief mentions in the news)” the above events attended by the President. Zurab Alasania promised to sue the broadcaster in court after the official explanation is released. Commentary of the Head of the Steering Committee. The Head of the Steering Committee of Ukraine’s public broadcaster Tetyana Lebedeva reassures that lack of coverage of the events attended by the state leadership on the part of the public broadcaster was not the reason for firing Zurab Alasania. She posted respective information on her Facebook page. Reaction of the President. Commenting on termination of contract with Zurab Alasania, the Presidential Administration only said that President Poroshenko supports public broadcasting. The Administration also referred to what “Detector Media” earlier said. “Establishing public broadcasting has been Ukraine’s huge asset. Public broadcasting is a joint achievement by the authorities and civil society. It has always been supported and will be supported by the President,” the commentary says. Politicians and state actors comment. Minister of Internal Affairs Arsen Avakov holds the dismissal of Zurab Alasania from the post of the public broadcaster head for a provocation. “I don’t think it is a good idea to test the technologies and limit the press now. I don’t think it is a good idea to remove the head of the public broadcaster two months prior to the elections in an unclear way. We are closely watching it,” Minister Avakov said. Candidate to the post of the President, leader of Batkivshyna party Yuliya Tymoshenko stated that dismissal of Zurab Alasania from the post of the head of the board of the National Public Broadcasting Company of Ukraine is not a coincidence but is linked to the election process. Commentary of the Foreign Affairs Minister. Foreign Affairs Minister Pavlo Klimkin is convinced that the Steering Committee of the National Public Broadcasting Company must voice its claims to Zurab Alasania, whose resignation from the post of the public broadcaster head they voted in, Minister Klimkin wrote on Facebook on February 1. Klimkin added that he knows Alasania being a good journalist and a true patriot. Journalists react: claims of censorship and “The 34 Initiative”. A non-formalized group of independent journalists consider the actions of the public broadcaster’s Steering Committee “a direct sign of censorship and an extremely dangerous precedent for the country.” Respective open appeal was published on Facebook by the former executive director of Hromadske TV Kateryna Gorchynska. 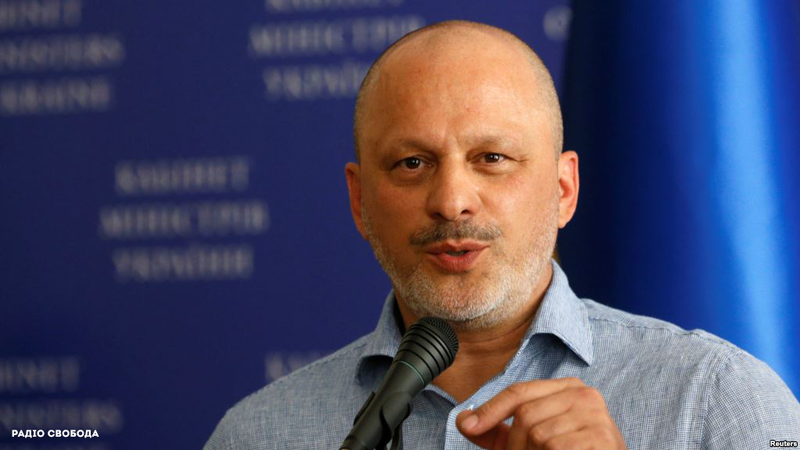 “Zurab Alasania was fired on January 31, 2019 by non-transparent and secret voting that involves a clear violation of the procedure, the law on public broadcasting, the functions of an independent steering committee and of common sense. It is unacceptable,” the statement’s authors conclude. They said that part of the claims to Alasania that has been publicly released so far demonstrates that the decision is politically motivated. Responding to the new challenges the signatories of the appeal united into a non-formalized group of independent journalists – “The 34 Initiative” referring to the Article 34 of the Constitution of Ukraine that guarantees the right to freedom of expression.